The amount of viruses that threaten a computer user, specially if he/she browses the Internet and downloads files is really big. That is why it is important to always have a good Antivirus installed, that detects any threat and that is really simple to use, conditions that Rising Antivirus fulfils without any problems. 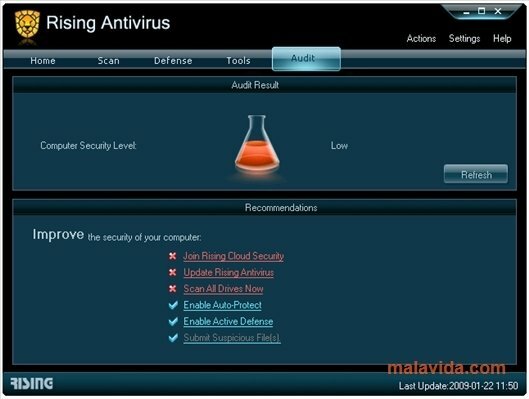 Rising Antivirus is the application developed by Rising Solutions, a company that develops computing security software, to protect your computer. One of the main advantages of this software is its interface that can manage that any user, regardless of his/her level can use, configure and manage his/her computer's security without any problems. Like in any antivirus that's worth the while, Rising Antivirus includes a real-time protection system, as well as the possibility to scan any file, drive or the complete system in search of viruses or threats. What's more, we can create programmed and personalized scans without any problem. 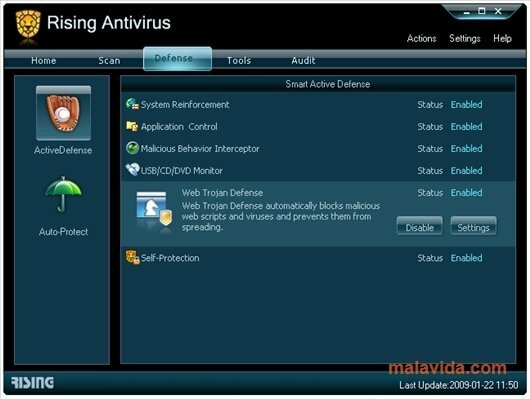 Rising Antivirus is a hardly known alternative that is perfectly capable of guaranteeing your computer system's information.